When adding or editing a property, you’ll have the ability to enter the contact details of the vendor and landlord including name, address and contact details. 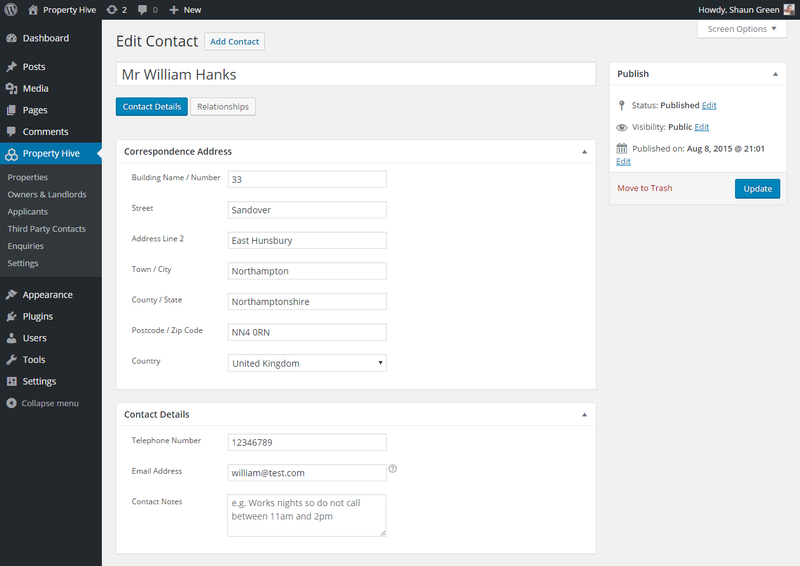 Quickly search for existing contacts, or enter a new one whilst entering the property details. You can view and search all of the contacts entered in one place, accessible from the Property Hive menu. Each vendor and landlord will have their own record where their details can be viewed and edited. Property Hive has been built in such a way that each contact can be assigned to multiple properties. Under the ‘Relationships’ tab of the contact record you’ll be able to see all of this contacts properties.